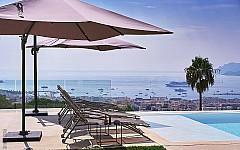 If you have been charmed by the Alpes Maritimes area and you have decided to search for a property for rent in Cannes, you should learn more about PALM REAL ESTATE’s selection of villa rentals in Cannes. 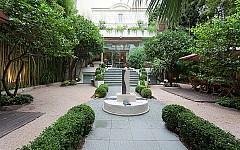 The fashionable resort, famous for the International Cannes Film Festival, also attracts popular attention with its exquisite shops, restaurants, hotels, the yacht marina and also its fervent night life. On the French Riviera you can also fully enjoy the Mediterranean breeze, which keeps summer evenings comfortably cool despite the high temperatures in daytime. When you visit the Riviera you will also be charmed by the beautiful landscapes offered by the Lérin Island, the Massif de l'Esterel, the beautiful beaches, the boats. There are many wonderful places to discover and plenty of opportunities to seize. 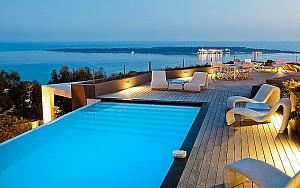 Cannes is particularly beautiful with its Old Port, the hills, the exclusive neighbourhoods and numerous tourist attractions. 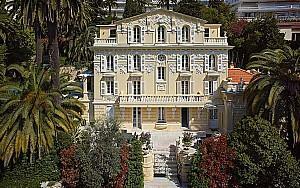 When you have decided to spend some time on the French Riviera, you have made a very wise choice. 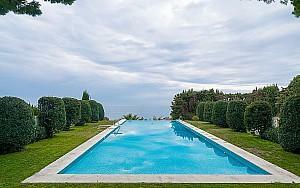 In search of a high end property for rent in Cannes? Whether you want to dwell in a modern villa for rent in Cannes, in an authentic chalet or in a completely renovated family house with panoramic sea view and swimming pool, PALM REAL ESTATE is here to help you find the house of your dreams. Newly built luxurious villa rentals in Cannes, superb properties with a view over the hills and a beautiful glimpse of the sea, contemporary style villas situated in quiet sought after areas, beautiful apartments located near the beaches, discover them all in PALM REAL ESTATE’s offer. They are all welcoming you in a dreamy world, ready to meet the highest real estate standards. 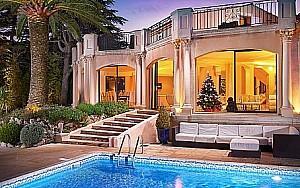 Our international team of real estate specialists is always ready to offer you assistance when you are in search of a high end property for rent in Cannes. PALM REAL ESTATE offers personalised assistance, whether you need to rent or find distinctive homes in Cannes and its surroundings.